The verdict on Azazie is that this site is almost too good to be true. Offering tailor-made custom dresses to fit your body measurements EXACTLY, Azazie is a no-brainer when it comes to wedding party dresses. They recently changed their delivery policy from 8 weeks to 5. What you get for the price is outstanding – the fabric and craftsmanship is high quality, each dress is double lined and comes with a built-in bra. Azazie’s customer service is exceptional and they are willing to go far and beyond to ensure you have a great experience with their company. If something has gone wrong with your measurements it can be quite costly to fix. 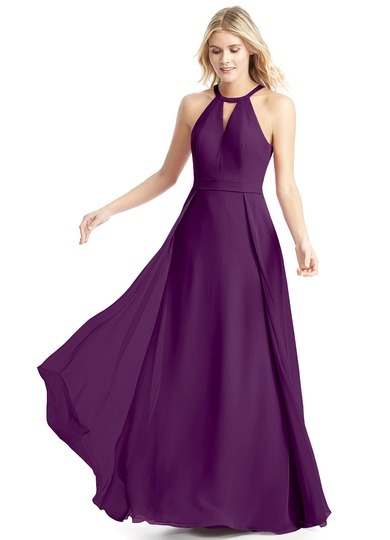 They are even willing to compensate (up to $75.00 depending on the dress price) for alterations if there are issues with your fit – note: this only applies to custom-fitted orders, not regular sizes. 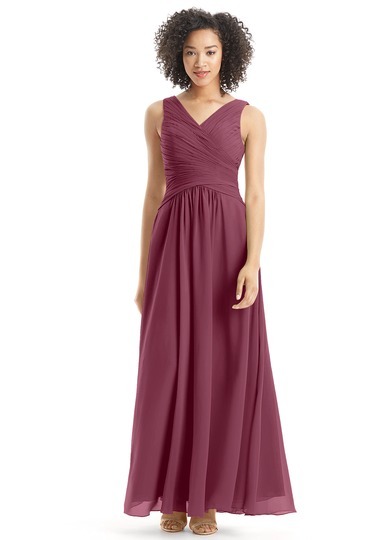 How I ordered a dress I fell in love with - the stresses and woes of finding that perfect Bridesmaid dress. What Are Custom vs. Standard Sizes? 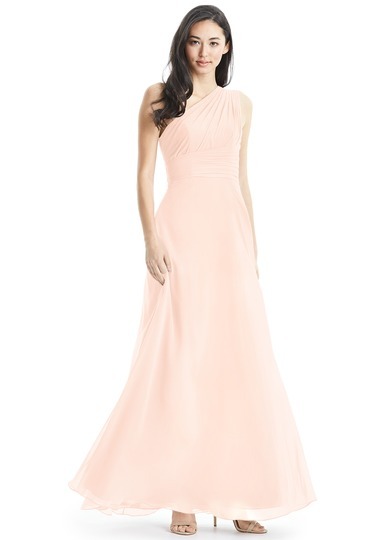 Azazie offers two options for sizing your dress, standard dress sizes and custom made-to-fit. Standard sizes are what you would find in any store with the common sizing labels of 2,4,6,8, up to size 30. Azazie has a chart mapping how your measurements align to their regular sizes. Custom made-to-fit means you follow the instructions on how to measure each part of your body: hips/bust/waist/neck-to-floor and they will create a dress that is completely custom fitted for you – at no extra price. When selecting the custom fit it is important to get your measurements correct. This can be tricky, so it is highly advised that you follow the instructions EXACTLY – use the site’s guide (which includes a video) for instructions on how to do this correctly. What is Azazie’s Return Policy? If you are unhappy with your dress you may request a refund within 10 days of receiving it and will be reimbursed the dress price minus the shipping costs, this only applies to standard sizes. Custom sized dresses have been created for you and therefore can’t be returned as they won’t fit someone else. You can however cancel either standard or custom orders within 72 hours of placing your order for a full refund*. *Swatch orders, measuring tape orders, sample dress orders, and clearance items can only be cancelled or changed within 30 minutes of placing the order. Swatches, measuring tapes, and clearance items are final sale. Can I try it on at home and send it back? Yes! Azazie offers samples to try on in normal (not custom fitted) sizes. They don’t ship samples to Canada due to customs but they will still ship orders there. The prices for samples range $10.00-$25.00 and includes shipping both ways. Will Azazie Have the Exact Color I need? Azazie’s color selections seem to multiply every time I visit the site again. They have TONS of colors to choose from in each style. Since color matching is very important, if anyone in your bridal party is wearing a dress from another company the colors may differ slightly. To prevent issues with mismatched colors, you can order a color swatch for $2.00 which will give you a sample of each style of fabric in that color. If All of My Wedding Party Is Ordering from Azazie, What Should I Do? In order to keep all of the colors consistent (there are usually real subtle variations even in the same color if they’re not from the same fabric bolt) it’s recommended to start a showroom on Azazie and have all of the bridesmaids place their orders within 24 hours. This will guarantee the colors will be an exact match. The colors might also be different if different fabric types are chosen, so this should be a consideration. Isn’t it Better To Buy This In A Store? In my experience, no. I went to several physical stores before choosing Azazie and all of those had order fulfillment dates of at least 8 weeks, some were up to 3 months out. 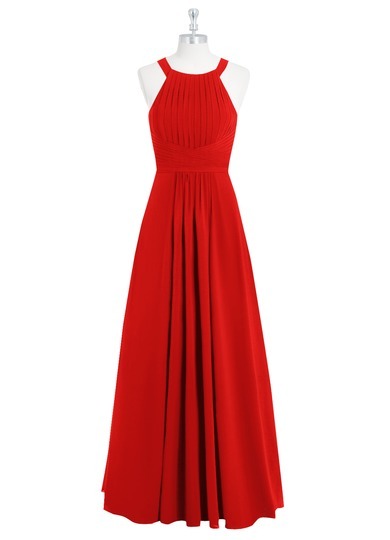 The in-store prices for similar dresses to what Azazie had was twice the price with no alterations and no custom-tailoring options. If someone does find a physical store that offers quicker turnaround times for better quality and a lower price please let me know so that I can share that info on the site. I would be surprised to find a place like that. How Do You Clean and De-Wrinkle These? Dry Clean Only. To get the wrinkles out only use steam ONLY, at home, or at a Dry Cleaner. Don’t IRON. You can hang them in the shower after you’ve taken a hot shower to steam most of the wrinkles out. 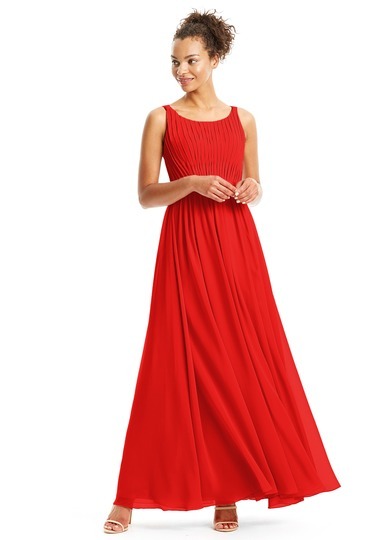 These vary by price point but starts at $6.95 – most dresses seem to fall into the $9.95 price range. You can go to the shipping chart here. Will I Need To Order A Special Bra? 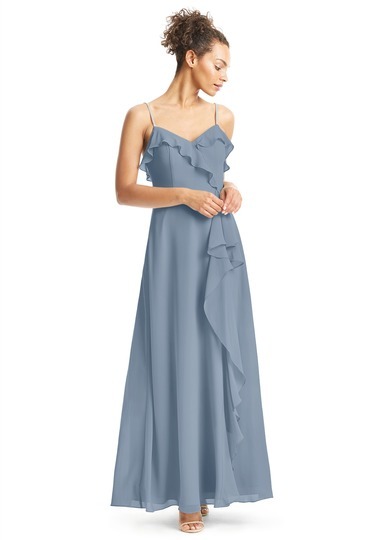 Azazie dresses have a bra built into the dress so you will not need to purchase an additional bra. Azazie has a clearance section with great deals if you can be flexible enough to take what they have at the time (no custom fitting options here) and there are no returns allowed on these either. The clearance items are typically around $35.00. Azazie offers sales on various items throughout the year so it’s a good idea to sign up for their email list. Are the Bridal Dresses High Quality? I don’t know personally as I have no experience with these, although some of these do look amazing and some not so much. I would check the reviews and customer images to see if one you are interested in was as good in person as it was on the site. I would DEFINITELY recommend ordering a sample for something so important though. You betcha! They have an iOS and an Android app. Are There Other Great Online Sites Like Azazie? I’ve listed one below because I always believe people should have alternative options, but the reviews are really mixed on that one so I can’t advocate it personally. I would love to hear about other sites like this, if anyone knows of them. This site and their products will blow your mind. 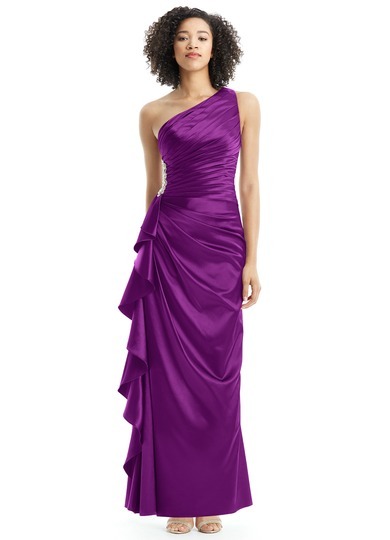 Gorgeous dresses custom tailored for your body starting at $89.00. How Azazie offers such superior quality in fabric & tailoring for the prices they do is a mystery. 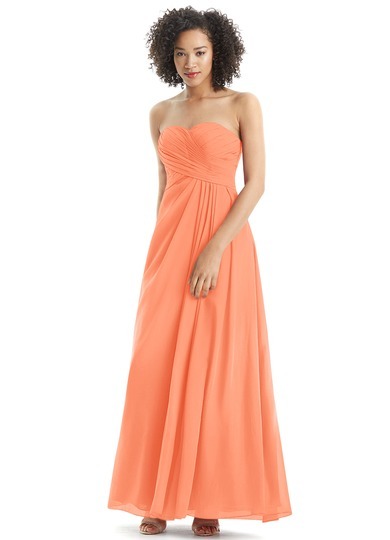 If you are looking for formal dresses, this should be your first stop. Azazie is an online (only) retailer specializing in custom-made affordable Wedding, Bridesmaid, and formal event dresses.